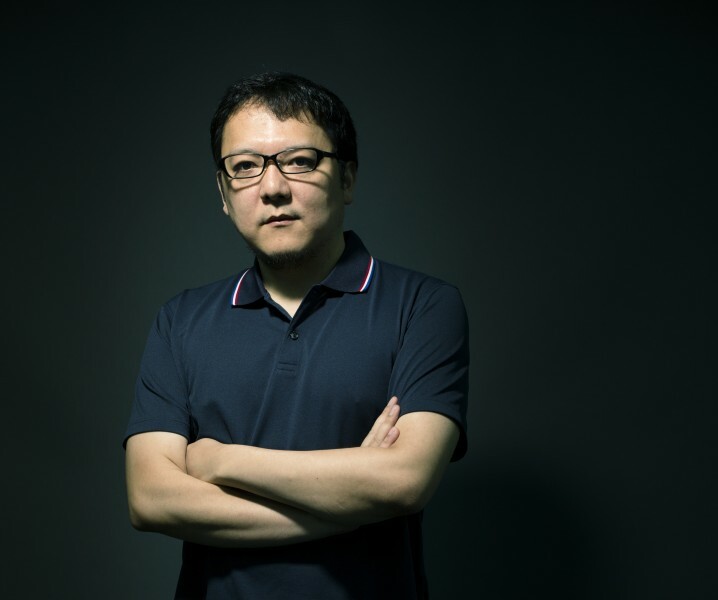 During E3, we had a chance to speak with Hidetaka Miyazaki, the mastermind responsible for Dark Souls, Bloodborne, and more broken controllers than anyone (probably). 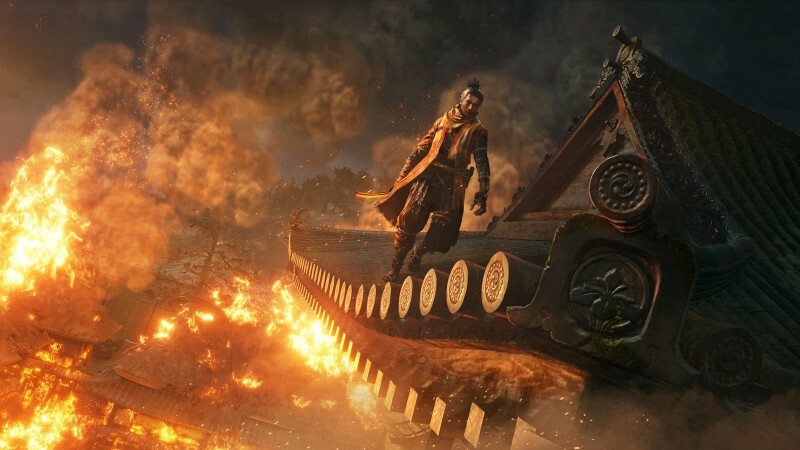 Miyazaki and From Software unveiled Sekiro: Shadows Die Twice at E3, a ninja-themed twist on the studio’s brutally precise concoctions. 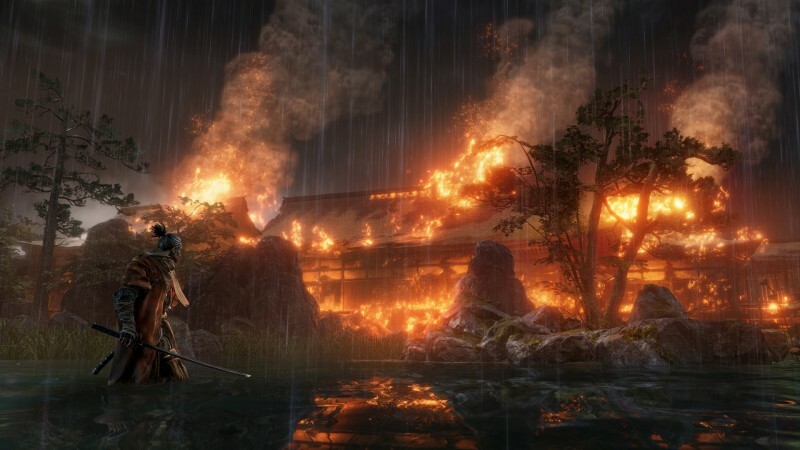 We took the opportunity to probe Miyazaki’s mind about what makes Sekiro such an intriguing departure for the storied studio. 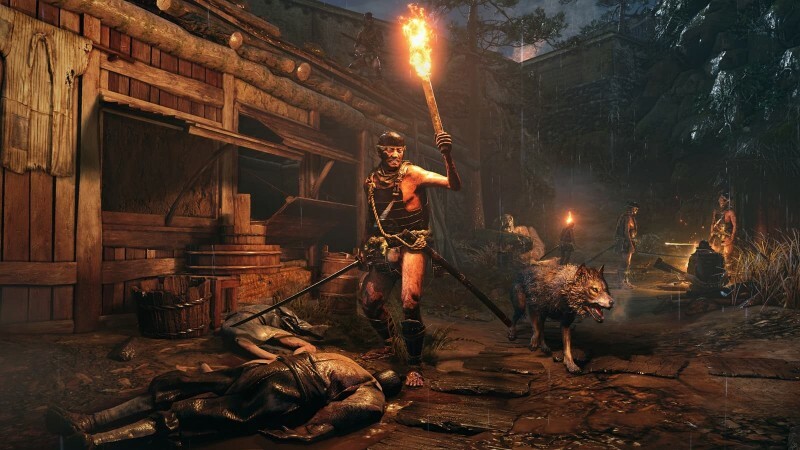 When did From Software begin work on Sekiro: Shadows Die Twice? Around the time DLC on Bloodborne was wrapping up. That was when initial talks began. We don’t really have teams on projects at From. We don’t have a Bloodborne team and a Dark Souls team. But some members of the Bloodborne staff will be working on Sekiro, but also a lot of people from other projects as well. So, the keywords when we first set about planning this game were obviously “Japanese inspired,” “Japanese aesthetic,” and “ninja.” We wanted to make a game based on ninja; that was the main keyword. That was the impetus for the whole project. Well, that, and some new ideas for game design. For instance, using three-dimensional movement and using a lot of mobility to traverse the map, that fit nicely with the ninja concept. And also this ability to use everything – to use a variety of skills and techniques that you have to command mastery of – that fit together really nicely with this whole concept. And, of course, you may have noticed some similarities with Tenchu. That was actually another key word around the genesis of the project. 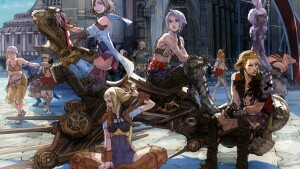 We didn’t want it to be a direct continuation of the series or an imitation of what other companies have done with the series. We wanted to do something new, but Tenchu was a keyword and an inspiration. In terms of the setting and the world design, the main periods in which ninja operated in in Japan were the Edo and the Sengoku periods. One of the two reasons we chose Sengoku over Edo was because it’s a period filled with war, filled with violence. It was the age of warring states in Japan. It was full of bloody battles and conflict. And this fit really nicely with the ninja aesthetic and with the kind of game that we wanted to make. The second reason we chose Sengoku was because Edo is generally considered the early modern period of Japan, while Sengoku is more medieval. And from this medieval background we were able to take motifs and ideas from this ancient Japanese mysticism, a timeline of beauty, and incorporate that into the world design. There’s a supernatural element to this world. We’ve seen monsters. Is that an unusual occurrence in this universe, or is this typically a supernatural, monster-filled world? In general, it is a world based on reality, based on some real elements of the Sengoku period. But we don’t want to ground it too much in reality; we want to give it our own spin, as we have done with previous titles. You will find the supernatural elements if you look hard enough in the world. We don’t want to give too much away, but there is this unknown side to the world that our ninja protagonist can explore, but the regular folk will not know about. A key part of your level design is one-way paths you can’t mantle back up, where you commit to the risk/reward of a route. With the added mobility, is that an element of your game design that needs to be left behind? This wasn’t something we consciously left behind... 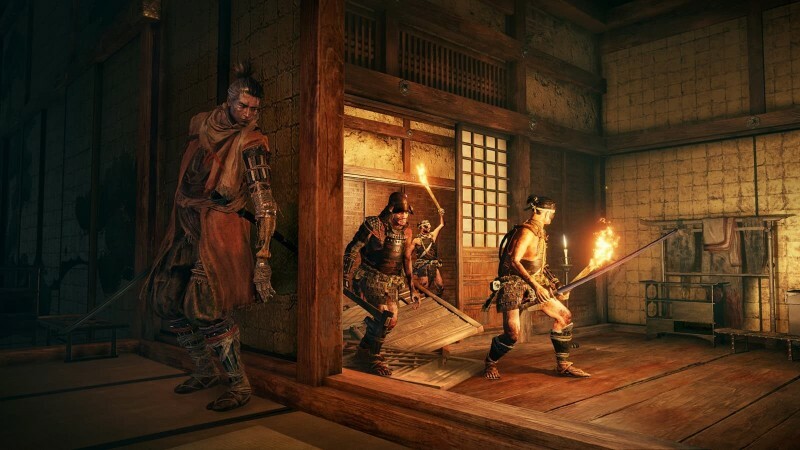 But a big part of Sekiro’s design is this ninja concept and allowing freedom of mobility and traversal of 3D open spaces. When we’ve made the maps for Dark Souls and Bloodborne in the past, we’ve prided ourselves on those 3D spaces; very open and vertical maps where you have to use ladders and stairs to go up and down. Through making these games over the years, we’ve been confined to ladders and stairs, and it’s a one-way system as you pointed out. Now we’re finally able to freely traverse these maps as a ninja. This is something that I personally wanted to do. It feels like a big stress relief, like I’m able to experiment a lot more. Is the world interconnected in the same way as a Soulsborne game? 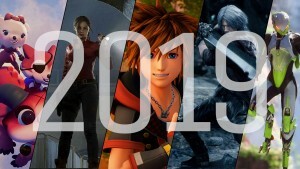 As with previous titles, there are a couple of exceptions, but in general it is all connected sequences... We feel that this time it’s hard to specifically refer to an older title [for comparison]. Rather than saying it’s a linear one-track game, there are branching paths. While the maps are seamlessly connected, there is a level of freedom in the order that you can approach these sequences. Is there an equivalent to the Soulsborne bonfires or lamps? Yes. We do have an equivalent of the bonfire. We call it the Sculptor’s Idol. It’s a four-handed statue. The old man, the sculptor in the trailer, is the one carving the statues. Death is a key theme in your work. 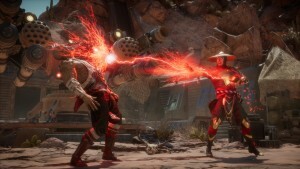 How does Sekiro rethink that philosophy? 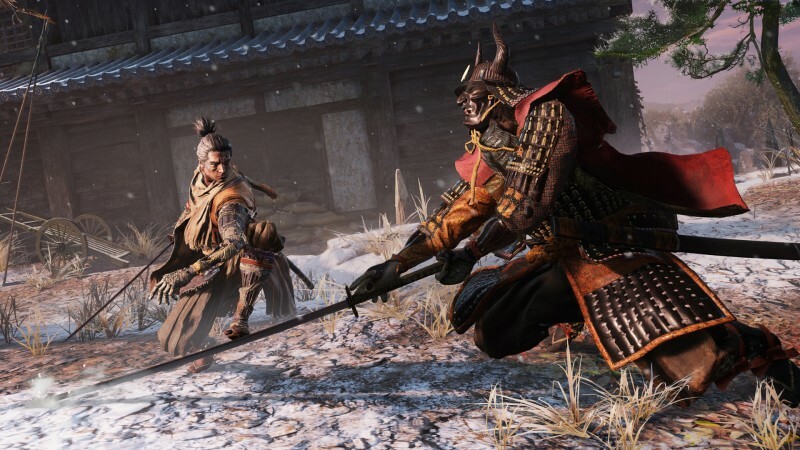 What is Sekiro’s approach to death? We have a mechanic called resurrection. One thing we thought about in designing this ninja protagonist was that you’re constantly in fear of death. You are not a knight suited in armour. You are exposed, you are vulnerable, and you are constantly at death’s door. Any mistake could be your last. This fear of death, and this sense of risk is something we wanted to maintain from our previous titles. But it was working a little bit too well with this new ninja concept! You were dying a lot, and you were having to start, go back and redo. And this was just spoiling the flow, tension and tempo of the game. 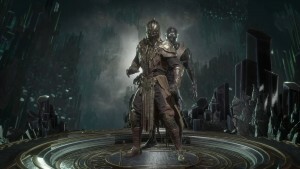 So in order to maintain that sense of trepidation and that fear of death, but while at the same time improving the rhythm between combat encounters, we introduced the resurrection system. And then we founded this idea of resurrection fitted very nicely with the ninja motifs: this is a cold-hearted warrior who can utilise even his own death as a strategy in battle. 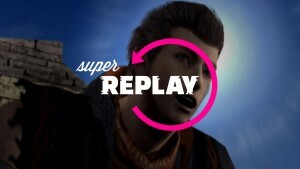 One thing we want to make clear is that resurrection is not intended to make the game easier. We’re going to be very conscious of that as we continue to tweak and balance it. It will have its own restrictions. It will have its own death penalties and costs associated with it. We still want the player to fear death; we don’t want to numb the player to death. Can you give us an example of how you can use your own death to your strategic advantage in combat? have triumphed over you, and they ignore you, and then you can resurrect and get back up and then ambush them. Something else we could consider, something we’re playing with at the moment, is the idea of ending your own life in some way in order to reset the situation if you’re really in a tight spot. For example, through the use of poison, or some other concoction, you could potentially reset the situation and create that strategic advantage yourself. 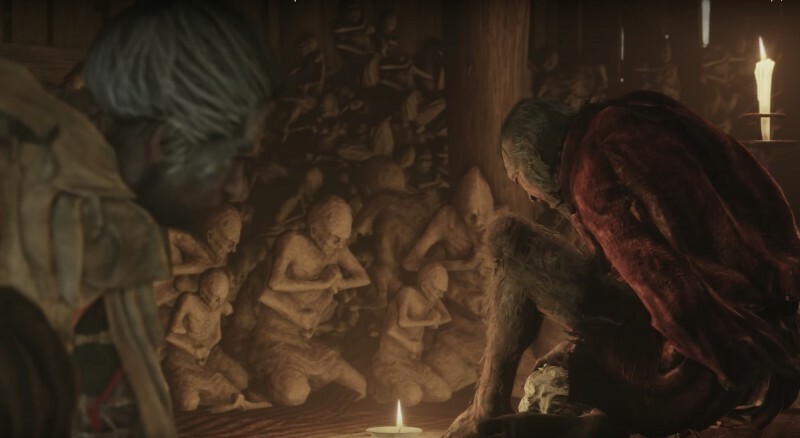 From Software has always had a subtler approach to storytelling. 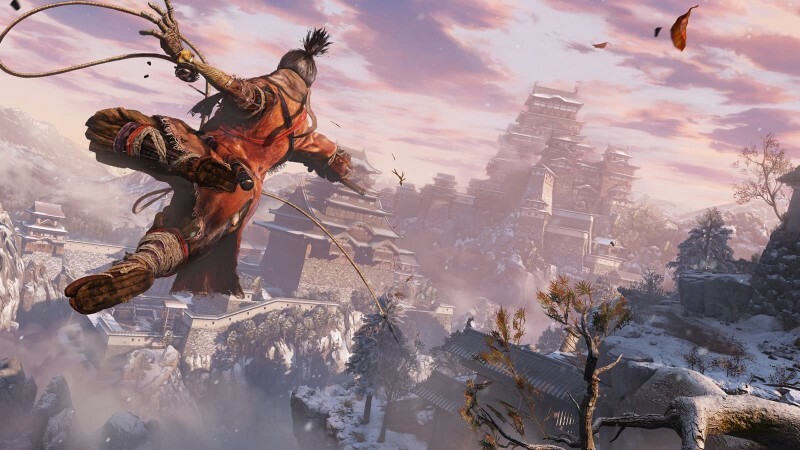 Is that continuing in Sekiro, or is it a more overtly told tale? We have this fixed protagonist, and we are concentrating on him as a character. He is the core of the story. Him and the characters that revolve around him. At least from the outset, we feel that core plot will initially be easier to understand. But our general approach towards storytelling, towards narrative, has not changed. We want users to explore and find these fragments and piece together the rich story, and to find the depth as a reward for themselves. 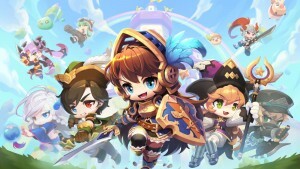 We want it to be a player-driven experience, rather than a story-driven experience. 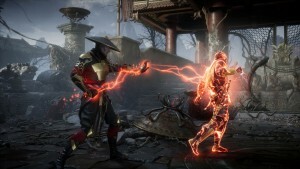 Can you explain how Sekiro’s combat system differs to the Soulsborne systems we are familiar with? 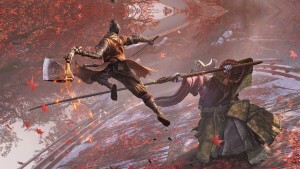 Sekiro is not a continuation of the Soulsborne series, so we have created a brand-new combat system specifically for this game. Two keywords when designing the system were “intensity” and “dynamism.” The intensity comes from the clash of steel between katanas. This constant clang, clang, clang, between yourself and your foe that creates this intensity in the constant fear of death. And the second, the dynamism, comes from the ability to jump and reposition yourself in combat, and also from the new grappling attack. Another idea that spawned from that and from our ninja protagonist is this “anything goes” philosophy, where the ninja is able to incorporate anything into his arsenal and utilise it according to the situation. So you have to grapple to use mobility, and to get around the map, and to get a jump on your foes, and you can use stealth to circumnavigate the combat area and take out a few grunts before you engage. 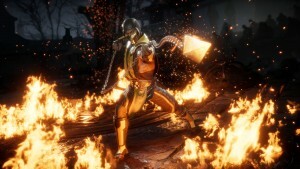 You can go head on from the start, or you can use the shinobi prosthetic tools to blind your foes or create some sort of advantage before engaging. We didn’t want this to be a stealth-focused game. We didn’t want the player to constantly be sneaking around in the shadows and clinging to walls. But we did find that along with the grappling hook and the mobility it was something that we wanted to explore and to experiment with. Has the increased player mobility necessitated a change in the way you design your boss encounters? Our approach to bosses in general hasn’t changed. They still represent the climax of a section. We hope the added mobility and the utility of the shinobi character can add even more ways to approach these bosses. Each one will have their own kink, their own weakness, and it will be up to the player to figure out what that is, and to most effectively utilise the environment, utilise every tool in their arsenal to figure out a way to take them out. We think this time we will have a greater variety of bosses, with a greater variety of strategies for the user to figure out. This is probably a dangerous question to ask in a room full of Activision employees, but why have you partnered with Activision for this game? [Laughs] We’ll leave the business side out of it, but I want to talk primarily as a director first of all. There are a couple of reasons. We take our project proposals to certain publishers... you know we need publishers overseas to promote our games and to support us. We took it to Activision, and they were extremely supportive of the initial idea right away. They were very interested and it really resonated with them. The other reason is they were able to fully support our ideas. They gave us 100-percent creative control. They gave the highest respect to our vision, and within that they were able to offer advice and feedback on various aspects of the game. But ultimately we have that creative control, and we’re able to use that advice how we see fit. We really enjoyed the fact that they were offering a sense of support from the start. Also, the fact is that both from From Software and Activision had a history of publishing the Tenchu games. So there was this strange little quirky relationship there, and I thought it would be interesting to explore that again.